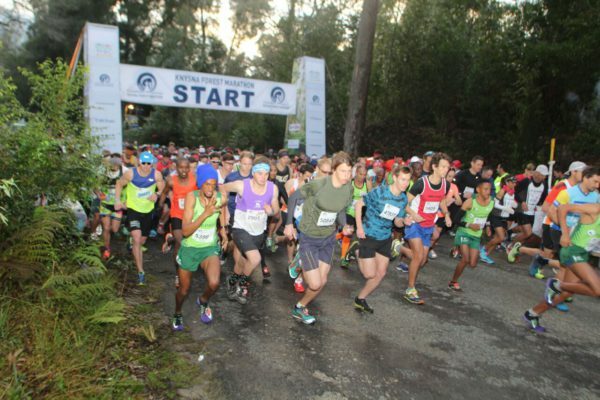 The Starting Point of the Momentum Knysna Forest Marathon and half marathon. BIG5 Challenge and Maserati have joined forces to offer the Ultimate Multisport Challenge in Knysna from 7 to 16 July. Aimed at athletes who push the limits through challenges that question the status quo, the BIG5 Challenge has found the ultimate partner in Maserati, an iconic brand renowned for Italian design, performance and craftsmanship. With the launch of their first SUV, the Levante, Maserati has firmly stepped into the cycling lifestyle arena. The Levante is 100% sports utility vehicle, 100% Maserati, delivering performance even in the most formidable terrain or extreme weather condition. Now in its 8th year, the newly-named Maserati BIG5 Challenge remains one of the highlights of the annual Pick n Pay Knysna Oyster Festival. With Maserati taking the reins as title partner, the challenge has been set for riders to test their mettle on the saddle as they navigate some of the toughest terrain in this prestigious multi-sport event. It offers an exclusive group of athletes the opportunity to compete in five different events over the course of 10 days. All efforts this year will be focussed on Knysna after the recent devastating fires and funds will be raised to #RebuildKnysna. Maserati’s sponsorship of the BIG5 Challenge allows them to contribute to these efforts. 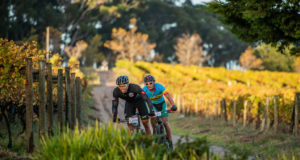 The Maserati BIG5 Challenge has three competition tiers and include entries to the Momentum Knysna Cycle Tour MTB Race and the Momentum Knysna Forest Half Marathon. The BIG5 sees athletes compete in five pre-determined events and the athlete with the lowest cumulative time is named the overall winner. Another option for the brave yet slightly less adventurous is the BIG5Lite, where four of the events are pre-determined and the fifth offers a choice between three, to make up the total result. 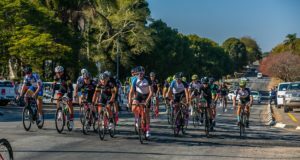 Young endurance racers are also encouraged to participate in the BIG5Junior, a race specifically targeted for tomorrow’s stars currently aged between 12 and 19 years. Don’t miss your chance to make a difference while competing for glory, enter the Maserati BIG5 Challenge now!